On this page you will find links to other web sites grouped by topic. Choose a topic below or scroll through the entire list. A number of 25th Infantry Division veterans have put up their own accounts of their time with the Division. For further information about their units, take a look at our Units pages. Charlie Troop, 3rd Squadron 4th Cavalry, Republic of South Vietnam This is a new website dedicated to the members of this unit who served in the Republic of Vietnam. You’ll find troop strength for the Squadron and for C Troop, photos, list of all known C Troop members, and awards. A Troop 3/4 Cav Vietnam This site, dedicated to the members of Alpha Troop, 3rd Squadron, 4th Cavalry, 25th Infantry Division who served in the Republic of Vietnam, contains rosters, photos, a timeline and more. Centaurs in Vietnam (D Troop, 3/4 Cav and F Troop, 4th Cav) The new, expanded Centaurs site has unit history, maps, photos, personal accounts, and much more. A Year On The Jumpin’ Jack Randy Kethcart’s year with 2nd Platoon, Co. B. 1/5th (Mech.) “Bobcats”, told in photographs. 1st Bn 5th Inf Reg 25th Inf Div “Class of 1966” Butch Petit has put together a site with a great many photos of Cu Chi district in 1966-67 and many photos of “Bobcats” of that period. A 1st/5th Mech “Bobcat’s” page Bobcat – 1969 Prologue to MECH, By: Theodore T. Jagosz, Cpt Inf (USA). Willy’s Page A very nice website put together by a 4th/9th “Manchu” vet. If you want to see a graphically elegant site, check this out. He also recently moved his Manchu material to its own domain. Willy recently added “Sounds of Vietnam”, a set of audio files, to the Manchu site. The Manchus ought to be proud of what Willy has put together for them. 2/12 Infantry In Vietnam The site that Ray Cassidy began has been moved and is now being run by Arnold Krause, with the added focus on Charlie Company. All the old material is still there: photos, Tropic Lightning News articles, and a “Warriors” locator. Dau Tieng Basecamp Bill Comeau, RTO, A/2/12, 66-67 has created a website for the men of Alpha Co., 2/12th, particularly those that went to Vietnam with the 4th Infantry Division and later served with the 25th Infantry Division. You will find photos, brigade history, a chat room, and more. 1st/14th Infantry “Golden Dragons” – Vietnam Terry Bender has added a wealth of information to this site, including photos, maps, a Golden Dragon Alumni newsletter, articles about specific operations from Stars and Stripes, and much more. Very nice animated graphics, too. 2/14th Golden Dragons – Vietnam Kirk Ramsey’s site now has expanded to include a Golden Dragons Vet Finder, Battalion Annual Reports, After Action Reports, Quarterly Evaluation Reports and a “Lessons Learned” account of the price a platoon paid for establishing a predictable pattern when exiting the wire. Tales of a War Far Away, Kirk’s chronicle of his year with the “Golden Dragons”, is now incorporated into this site. In Hell With Dragons Richard Shaffer’s account of his tour in 1967 with the weapons platoon of Charlie Company, 2/14th Infantry “Golden Dragons”. Vietnam Triple Deuce The site begun by Mario Salazar is now managed by Harold Metcalf. It has added several new features including individual photo albums, a memorial to all KIAs, reunion news and many more new items. Charlie Company 2/22 66′-67′ Photos & Stories of the Men of Charlie Company, 2nd Battalion, 22nd Infantry, 4th and 25th Infantry Divisions in the years 1965 to the end of 1967. Charlie Company, 3rd Battalion, 22nd Infantry Association This site is for those who served with the 3/22nd in Vietnam, either with the 25th or 4th Infantry Divisions. 23rd Infantry Regiment Association This site contains some company rosters, photos, maps, and more. 27th Infantry Regiment Historical Society. Our mission is to support the Wolfhound Legacy. We want to reach and bring together all of the members of the 27th Infantry, past and present, from WW II, Korea, Vietnam, and our brothers and sisters of the War on Terror. Wolfhound Alumni (Vietnam) Gary L. Huber, Co. A, 1st Bn., 27th Infantry and life member of our Association, has put a website together with the aim of collecting the names of anyone who served with the 1st or 2nd Battalion Wolfhounds in Vietnam. He has listed the names gathered thus far by Company and Battalion. Gary recently updated the graphics on his site, and it looks great. All you Wolfhounds stop on by, especially if you can add to the list of names. Images of the 25th Infantry Division, Vietnam, 1966 This page features numerous photographs of the 25th Infantry Division, taken in Cu Chi, Vietnam, during 1966. When the 25th went to Vietnam, Major Frank S. Farmer, the webmaster’s father, was the Executive Officer of the 1st Battalion, 27th Infantry Regiment. Halfway through his tour of duty, he was promoted to Lieutenant Colonel and assigned as Headquarters Commandant, 25th Infantry Division. Operation Attleboro Over a year before the Tet Offensive of 1968 a major battle took place in War Zone C near Dau Tieng. At the height of this operation upwards of 50,000 U.S. troops were engaged. The 25th Infantry Division committed the 1st and 2nd Battalions, 27th Infantry “Wolfhounds”, 2/14th Infantry “Golden Dragons”, 1/5th (Mech.) Infantry “Bobcats”, and 2/22nd (Mech.) Infantry “Regulars” to the fight. The story is told in words, pictures and maps from the perspective of Co. B, 1/27th Infantry by one of its members, Marion Ellard. This is the electronic version of Mr. Ellard’s self-published book, copies of which may be obtained directly from the author. The 35th Infantry Regiment Association Among the features of these pages, you will find a KIA listing to company level for all wars since WWI, a Time Line for Vietnam, Photographs, and a Roster by company. Included within the Roster are those who served in the field with these troops: medics, artillery forward observers, their RTOs, Clergy, etc. Stop over if you have a little time, help out with the KIA or Time Line if you can, and add your name to the Roster. A Walk With the 35th Infantry Jim Anderson, B 2/35 67-68, has put together a site that contain Daily Journals, After Action Reports, Operational Reports and Lessons Learned, Series L-7104 Combat Maps and Series 1501 Area Maps, and more. Check back regularly to see what he’s added. Note: this is now part of the 35th Infantry Regiment site above. 25th Infantry Division LRRPs in Vietnam David Regenthal created this site as a tribute to those who served with him in Co. F., 75th Rangers. Combat Tracker Teams This site is dedicated to Combat Tracker Teams, a number of whom served with the 25th Infantry Division. Three such teams, Teams 1, 2 and 12, have partial lists of team members on the site. Vietnam Dog Handler Association Has a complete list of dog handler units, including the 38th Infantry Platoon Scout Dogs (IPSD) that worked with our line companies. 25th Aviation Battalion – Vietnam The Little Bears and Diamond Heads have a new LZ. Check it out. “The Mighty Ninth”, Vietnam Dennis Dauphin has constructed a site dedicated to the veterans who served in the 2nd Battalion, 9th Artillery “The Mighty Ninth” during the Vietnam War. It contains personnel rosters, to include Forward Observers (one of whom was Lt Shinseki, a future Chief of Staff of the Army), battery organizational charts, photos and more. A Btry 7/11, 25th Infantry Division, Vietnam 1968-69 Personal page of John Clark, who served with this artillery unit in ’68-’69. Includes photos, guestbook, message board and reunion dates. Vietnamsoldier.com: A look at life with A Battery, 7/11 Artillery Records the tour of Chris Woelk through extensive photos with background commentary. He also has added photos, letters and audio tapes of other artillery men who served with the 25th Infantry Division. ‘C’ Battery, 7/11th Artillery Bill Wood, who served with this artillery unit in ’67-’68, created this site to connect with others who served with the battery in Vietnam. Includes photos, guestbook, after action reports and reunion information. Bravo 3rd of the 13th Field Artillery, 25th Infantry Division, Vietnam 1969-70 Personal page of Bob Offerdahl, who served with this artillery unit in ’69-’70. Includes photos, personal journal, after-action reports, and more. 2/77 Army Artillery Page..Photos..History..e-unions Mikie Pectol’s site has photos maps, rosters and more. Trial by Fire Oral history from Captain Thomas A. Pienta, a pilot of the 187th Assault Helicopter Company. “Shotgun” Platoons were organized from elements of the 25th Infantry Division for the purpose of supplying door gunners to aviation companies operating in Vietnam prior to the Division’s arrival in Vietnam. 65th Engineer Bn., Company E Bob Guersch served with the 65th Engineer Bn, Co. E (Bridge) from April ’65 thru October ’66. He has created a gallery of his photos covering Schofield Barracks, USNS Nelson M. Walker, and the beginnings of Cu Chi base camp. World War II The Eisenhower Presidential Library at the University of Texas has a wealth of information, including brief notes on the future Presidents who served in WWII, a timeline, links arranged by theater of operation, and more. World War II Sounds and Pictures Radio broadcast samples, famous speeches of the era. Resource Listing for World War II Government documents and other official records of many participating nations. The Final Months of the War with Japan: Signals Intelligence, U.S. Invasion Planning, and the A-Bomb Decision This new publication by the CIA’s Center for the Study of Intelligence and the Harvard University program for Studies of Intelligence and Policy examines the role of intercepted Japanese communications in US military planning during the final stages of the war with Japan in 1945. The author states that this work is not intended as an argument for or against the use of the atomic bomb against Japan. Its purpose is to examine the intelligence that was available at the time and the role this intelligence played in US strategic planning on Japan during the closing months of the war. This site also includes a collection of 118 annotated declassified original documents provided in .pdf format in Appendix C.
The American Battle Monuments Commission: WW II Dead The American Battle Monuments Commission maintains a listing of those interred at the American military cemeteries overseas and those Missing in Action from World War II. Of the 405,399 Americans that lost their lives during World War II, there were 78,976 Missing in Action. Of the remainder the next of kin of 93,242 elected to have their loved ones buried at our cemeteries. The new listing of the World War II database, now on the web contains the 172,218 names of those buried at our cemeteries, those Missing in Action and those buried or lost at sea. It does not contain the names of the 233,181 Americans returned to the United States for burial. These sites on the Korean War will lead you to other useful websites. Korean War Casualty Database Records on Korean War Dead and Wounded Army Casualties, created 1950 – 1970, documenting the period 2/13/1950 – 12/31/1953. The Korean War Project The definitive Korean War page. After a temporary hiatus, they are back online. Take a look at this sub-page, which gives contact information and queries from former members of individual regiments. The 25th Infantry Division in the Korean War This U.S. Army Center of Military History page lists the campaigns, decorations and commanders of the division in Korea, and presents a brief history. Korean War National Museum This non-profit organization recently moved from Hawaii to larger facilities in Nebraska. At this time, they have a few photos on their site, but will add more as their displays are shipped from Hawaii. Truman Presidential Library Digital Archives: The Korean War This sub-site of The Truman Library has, among other things, personal accounts and official documents, maps and links pertaining to the history of the Korean War. Anniversary of the Korean War Timeline images, news stories, and resource links. The Korean War Veterans Association This site is a trove of information related to the Korean War, memorials, etc. The Korean War Veterans Memorial Information about the memorial and brief historical notes about the war. Korean War Commemorative Brochures Official histories from the Army’s Center of Military History. Combat Support In Korea Text of a book by that title. Korean War Casualties 25th Infantry Division The Korean War Educator Foundation has a section of their website listing 25th Infantry Division casualties organized by unit. State-level Casualty Lists from the Korean Conflict (1951-57) The Center for Electronic Records of the US National Archives and Records Administration provides this set of US casualty lists from the Korean Conflict. At present the database contains 33,642 names. Unfortunately, the list is not searchable at this time. The American Battle Monuments Commission The American Battle Monuments Commission maintains a listing of those interred at the American military cemeteries overseas and those Missing in Action from Korea. The Department of Defense reports that 54,246 Americans service men and women lost their lives during the Korean War. This includes all losses world wide. Since the Korean War Veterans Memorial in Washington, DC honors all U.S. Military who lost their lives during the War, it has tried to obtain the names of those who died in other areas besides Korea during the period June 27, 1950 to July 27, 1954, one year after the Korean Armistice. At the memorial is a Honor Roll database where all 54,246 should be listed. Unfortunately, a fire at the National Personnel Records Center in St. Louis, Missouri destroyed many of the records of service personnel and a complete listing is not available. To date, the database includes the names of 37,333 service men and women who died during that period. The Korean Honor Roll database, including photographs, is now on the web. Philippine Expeditionary Force To Korea (PEFTOK) Art Villasanta’s website has a brief history of the Korean war, which his father covered as a war correspondent. The 10th BCT was attached to the 25th Infantry Division in September 1950. Mr. Villasanta is seeking G.I. s who have any information about the Philippine troops in Korea. Websites about the Vietnam War and its veterans are not hard to find. The sites listed here will lead you to many of the best ones. Operation Shotgun. Chapters from Tropic Lightning History: Vietnam. 25th Infantry Division “Shotgun” Program. 50th Anniversary of the Vietnam War Commemoration. The United States of America Vietnam War Commemoration is a program to honor and pay tribute to Vietnam Veterans and their families during the 50th Anniversary of the war. The Commemoration will consist of a series of events and activities over the course of several years that will reach across the country. The Vietnam Veterans Home Page. Extensive site containing links to veterans organizations, personal writings, reunion schedules and a discussion forum. The Wars for Viet Nam: 1945-1975. Material found at this site is based on course materials for a seminar taught by Professor Robert Brigham, the first American scholar given access to the Vietnamese war archives in Hanoi. There are links to over fifty sites relating to the wars and to Viet Nam today. Selections include archives, image galleries, US veterans’ experiences, Vietnamese culture, and travel to Viet Nam. The Virtual Vietnam Archive. This site from Vietnam Archive at Texas Tech University contains over 2.7 million pages of scanned materials. Types of material include documents, photographs, slides, negatives, oral histories, artifacts, moving images, sound recordings, maps, and collection finding aids. All non-copyrighted and digitized materials are available for users to download. Vietnam Women’s Memorial Foundation: The Vietnam Women’s Memorial was established not only to honor those women who served, but also for the families who lost loved ones in the war, so they would know about the women who provided comfort, care, and a human touch for those who were suffering and dying. The Vietnam Women’s Memorial was dedicated in 1993 as part of the Vietnam Veterans Memorial. Vietnam War Webarchive. This collection of resource links at the Georgia Institute of Technology was put together by retired Air Force Brigadier General Thomas Pilsch, an Assistant Dean who teaches courses on warfare at the Institute. Renegade Woods: Small Unit Combat After Action Interview Report. 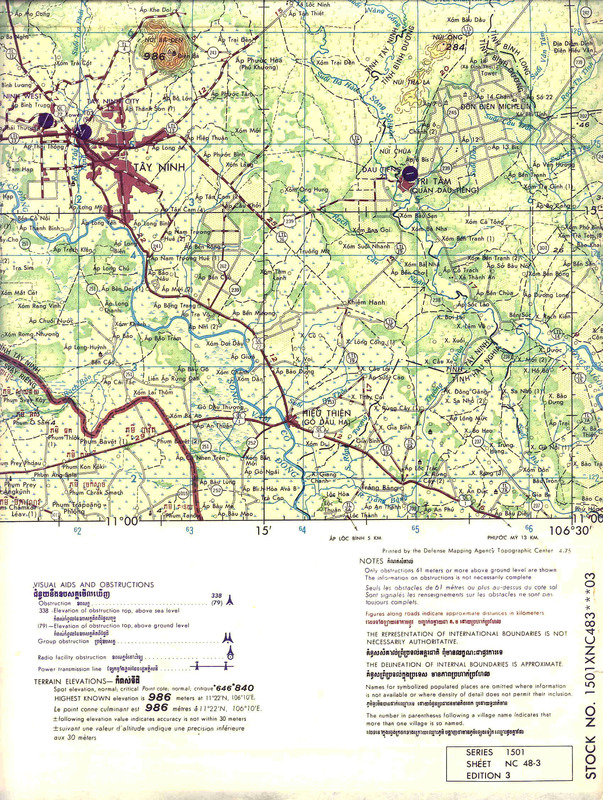 Detailed report of an operation in April 1970 involving Teams 38 and 39, Company F (Ranger), 75th Infantry, Companies A, B, C, 2nd Battalion, 27th Infantry, Companies A, B, 2nd Battalion (Mechanized), 22nd Infantry and a host of artillery, aviation and other support units. Selections From the Vietnam Interview Collection (VNI). As with ‘Renegade Woods’, this site is the product of the US Army Center of Military History. Within this collection are two After Action reports involving units of the 25th Infantry Division: VNI-232 which concerns the 2nd/27th Infantry Wolfhounds, and VNI-249, which involves several 25th Division units, including the 3rd Battalion, 22nd Infantry, 2nd Battalion, 34th Armor, 4th Battalion, 9th Infantry. The Vietnam Veteran’s Memorial Wall. This was the first Internet memorial site dedicated to honoring those who died in the Vietnam War. When the founder and original webmaster of this site was no longer able to continue, access was temporarily suspended. Our brothers of the 4th Battalion 9th Infantry Regiment Association have now stepped forward to assume sponsorship of this site as a service to the rest of us. The Virtual Wall. An elegantly presented site that offers the ability to post personal remembrances, participate in threaded discussions with other visitors, read clearly written profiles of those whose names are on the Wall, and create electronic rubbings of their names. This site also includes the Coffelt Database of casualties including their unit information, downloadable as Excel files. Companies of the 1st Aviation Brigade provided helicopter and air recon support for the 25th in Vietnam. The “Thunderbirds” participated in many of the operations in III Corps, including Attleboro, Cedar Falls and Junction City. They also have a separate page about the “Shotgun” Platoons that were organized from elements of the 25th Infantry Division for the purpose of supplying door gunners to aviation companies operating in Vietnam prior to the Division’s arrival in Vietnam. Very nice graphics, and a map of the Tay Ninh area. Drop them a line, they would like to hear from you if you ever rode with them. The Black Widows supported the 25th Infantry Division on a number of operations, including Manhattan, Barking Sands, Yellowstone and several others. The “Greyhounds” and “Mad Dogs” of the 240th flew in support of 25th Infantry Division operations in Vietnam. National Infantry Association The purpose of the National Infantry Association is to support the Chief of Infantry and the entire Infantry Branch, to share the camaraderie of like minded soldiers and citizens, to recognize, through their awards program, outstanding Infantrymen and Infantry supporters, and to preserve the Infantry heritage through support of the current National Infantry Museum and the construction of the new, expanded National Infantry Museum and Soldier Center. Tropic Lightning Museum The museum’s site includes Division history, a virtual tour of Schofield Barracks, a downloadable “walking tour” guide to the facility, photo exhibits, and more. Hawaii Army Museum Society The Society provides community leadership and financial support for the preservation of military history and the education of the public at large on the honor, valor and sacrifice of America’s fighting men and women in the defense of freedom. The paramount goal of the Society is to educate visitors about the role the military has played in the Pacific to ensure the survival of democracy and the American way of life. The Society’s site includes exhibits, an events calendar, information about their research collections, and an online store. Coleman Veterans Memorial The Coleman, Michigan, Veterans Memorial Committee funded a local replica of the 25th Infantry Division’s “United By Sacrifice” memorial, with the help of our Association’s Memorial Fund. 99 Crucial Sites On 20th Century American Military History Adam Couch has compiled a nice set of links to websites and informative blogs covering the World Wars, Korea, Vietnam and Middle East Conflicts, and related sites that service members, veterans and military history enthusiasts will find useful. U.S. Army Heritage & Education Center This information-rich site at Carlisle Barracks, PA includes selected photos from the 19th century through the Gulf War, books, and unit histories, lineage and honors. You can also use finding aids to search their archive catalog. Center of Military History Searchable site providing guidance in searching official records, downloadable Korean War maps, and information from most eras. The Institute of Heraldry Those of you who are looking for digitized versions of Distinctive Unit Insignias, Airborne beret flashes, medals and streamers for websites will want to visit this site. Stars & Stripes Published continuously since World War II, online since 1999. Downloadable digital editions for Europe, the Middle East, Japan, Korea and Okinawa are available, as well as podcasts, videos, and other interesting content. Make the Connection is a public awareness campaign by the U.S. Department of Veterans Affairs that provides personal testimonials and resources to help Veterans discover ways to improve their lives. It is a one-stop resource where Veterans and their families can find information about physical and mental health symptoms, challenging life events, and mental health conditions. U.S. Army Human Resource Service Center provides veterans with services such as creating DD Form 215s, updating retirement points for Reserve Component Soldiers, verifying veterans’ service for VA home loans, and providing statements of service for veterans employment verification, all at no charge to the Veteran or their families. National Resource Directory is a federal government website that connects wounded warriors, Service Members, Veterans, families and caregivers to thousands of services and programs at the national, state and local levels that support them during recovery, rehabilitation and reintegration. Visitors to the website can find information on topics such as post-traumatic stress disorder, military and Veterans benefits, health care, educational opportunities, homeless assistance, employment and much more. Most maps on the internet do not show much detail. However, there are some sites that make detailed maps available. Here are some examples. Map of the area around Cu Chi This is a large image, and takes awhile to display. Map of the area around Tay Ninh and Nui Ba Den This is a large image, and takes awhile to display. 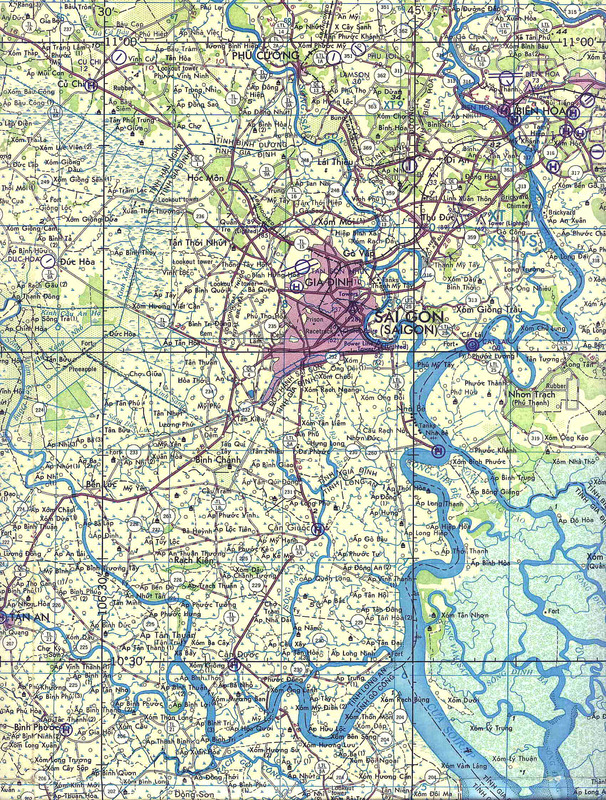 Another map of the area around Cu Chi This is the top four inches of a pictomap, Sheet 6330 IV, series L7014, 1967. A portion of Cu Chi base camp is in the upper left, and Fire Support Base Emory’s location is indicated further east. Source: Kirk Ramsey, A Co., 2nd/14th Infantry. The United States Military Academy’s Department of History Map Library Maps are arranged in atlases by conflict. The web offers a number of tools for locating veterans. These links are a few recommended ones. World Wide Web Vietnam Veteran Location Service The purpose of this page is to help Vietnam Veterans and friends of Vietnam Veterans locate those who served in Vietnam during the war years. N.C.O.C. Locator The mission of the N.C.O.C. Locator is to find and catalogue the current addresses of all former N.C.O.C. graduates (Shake n’ Bakes) and help them find their service buddies. Switchboard Another means of finding fellow veterans is this electronic phone book. If you have an idea what state the veteran is from, try searching the white pages at this site. There are several other internet phone books, but this is the one of the most complete and accurate ones. Pages listed in this section are worth a look, but don’t fit into the other categories. National 9/11 Pentagon Memorial Photographs and brief biographies of military and civilian Pentagon personnel killed in the attack of September 11, 2001. Lest we forget. American Memory Searchable site from the Library of Congress. Contains images and documents of historical interest. Sons and Daughters In Touch Organization whose mission is to locate, unite and provide support to sons, daughters, and other family members of those who died or remain missing as a result of the Vietnam War, to promote healing via networking and special projects and awareness of the historical and emotional legacy of war.